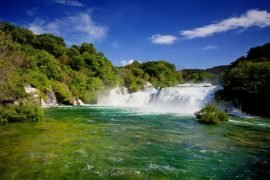 Kutrubes Travel offers a unique glimpse into sainthood with our exclusive tour, Origins of a Saint: Mother Teresa. 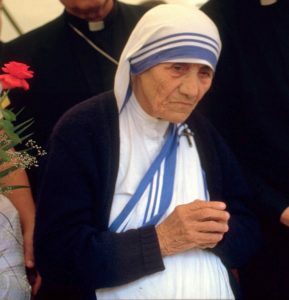 Well known for her charitable deeds and service to the poor, this missionary-turned-global-icon was officially canonized by the Pope on September 4, 2016. See where it all began with a visit to Mother Teresa’s birthplace, Skopje, Macedonia. 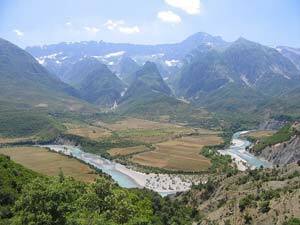 Travel to Letnica, a village in the mountains of Kosovo where she often made a pilgrimage as a child, and where at 17 years old she resolved to become a missionary and dedicate her life to charity. Witness the results of this fruitful calling at Tirana, Albania, where one of her hundreds of missions still cares for poor and orphaned children. 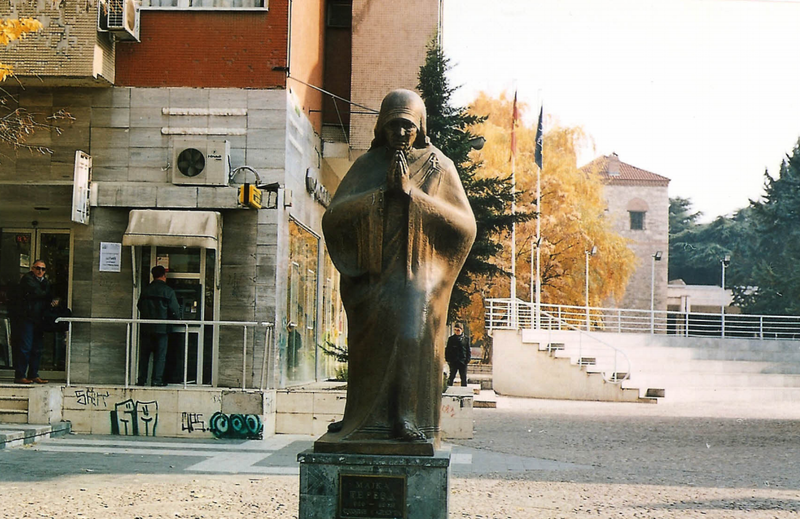 At Prishtina, visit a cathedral overseen by a priest who has authored some 15 books on Mother Teresa and who knew her personally. 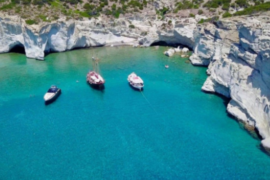 Of course, a visit to this region wouldn’t be complete without exploring monasteries, frescos, artifacts, phenomenal scenery, and even a family winery. 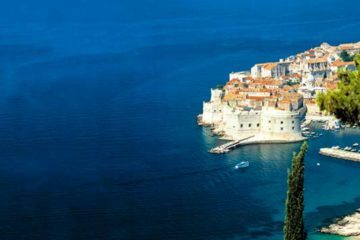 Come discover an exceptional part of the world at a special time in Catholic, and human, history. Pre Tour Programs available in Rome and Italy upon request. The price for a party of 4 paying travelers is $3380.00 per person. Rates available for less or more than 4 travelers. 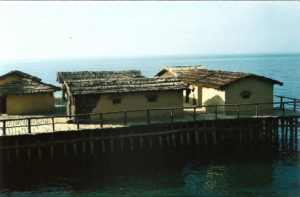 Today you will travel to Ohrid, Macedonia. 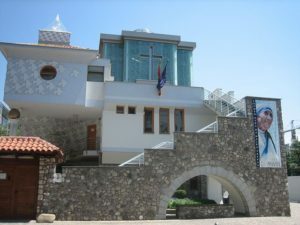 You will stop on the way to visit the Mother Theresa Mission in Elbasan, which takes care of 19 poor and orphaned children, and see St. Maria Church, which is located inside a fortress. Crossing the Albania/Macedonia border, you will visit the Monastery of St. Naum. 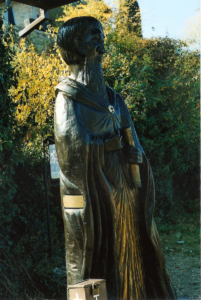 Its founder, Naum, was one of the disciples of Cyril and Methodius, forefathers of the Cyrillic alphabet; he died in 910 AD and was buried in the monastery. The monastery is most famous for its impressive 18th-century wood-carved iconostasis, its despotic icons painted by Constantine, its royal doors by painter Michael, and frescoes showing St. Naum’s miracles in the funeral chapel, painted by artist Trpo from 1799 to 1806. 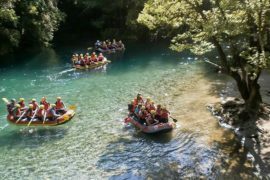 After breakfast, you’ll have a guided sightseeing tour of the most famous Ohrid attractions. Starting with the impressive medieval Church of St. Sofia, make your way to Plaoshnik archaeological site for some unique Byzantine architecture, visit Tzar Samuel’s Fortress, and see the Ancient Theater which was built on the hills of Old Town Ohrid in the 3rd century BC. Head to one of the most beautiful spots in Ohrid to see St. Jovan Kaneo, a 13th-century church which successfully combines Byzantine and Armenian styles. Continue to the Old Bazaar, one of the liveliest spots in Ohrid, to browse handmade items, food products, clay goods, traditional musical instruments, and famous Macedonian embroidery. 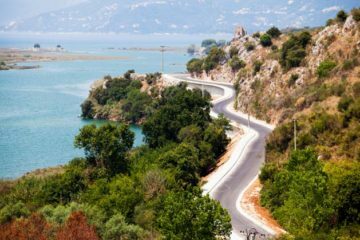 Later travel through Galichica National Park, complete with magnificent lake views, to the village of Kurbinovo. After breakfast, transfer to Skopje. On your way through the National Park of Mavrovo, you will visit the Monastery of St. Jovan Bigorski (St. John the Baptist), founded in 1020. Inside the church you’ll find unique works such as The Miraculous Icon of St. John the Baptist, more than 12 centuries old, as well as the awe-inspiring wood-carved iconostasis which depicts biblical scenes. The monastery is rich in icons painted from the 16th to 20th centuries and is a synthesis of Byzantine, Renaissance, and Baroque influences. 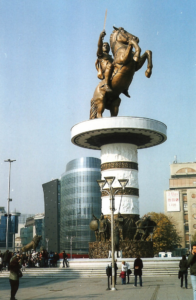 After arrival in Skopje, you will have a walking sightseeing tour of the Macedonian capital. Visit the Old Rail Station, which was demolished by an earthquake in 1963 and now houses the City Museum of Skopje. 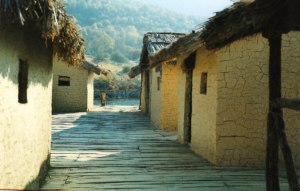 Explore the history of Skopje, from the first recorded settlements around 3000 BC to the present. Then head to the Memorial House of Mother Theresa, which was opened in 2009 in the exact location where the old Catholic church Sacred Heart of Jesus used to stand. This is where Mother Theresa, born Gonxha Bojaxhiu, was baptized just one day after her birth, on the 27th of August, 1910; the place where she received her first communion; and where she found her inner peace after her father’s death. 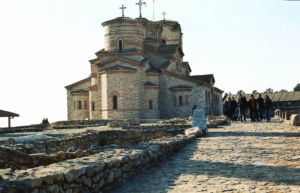 Today you will visit St. Pantelejmon, a monastery which was erected by Alexis Comnenus in 1164 during the Byzantine rule of Macedonia under the Comnenus Dynasty. The frescoes in St. Pantelejmon date from the time of the construction of the church but there are others from the 15th, 16th, and 19th centuries. The monastery’s marble iconostasis, dating from the 12th century, suffered much damage but was reconstructed in 1932 and still retains some original fragments. Following conservation efforts in the 1950s, some 12th-century frescoes are now visible as well. After breakfast, check out of your hotel and transfer to Prishtina. Visit the newly built Cathedral of Blessed Mother Teresa, an impressive structure fronted by statuary, flanked by white columns, and lined with bright stained-glass windows along its upper length which depict the Catholic history of Kosovo throughout the ages. The cathedral is overseen by Father Don Lush Gjergji, who has been a priest since 1973 and has authored some 15 books on Mother Teresa, whom he knew personally.